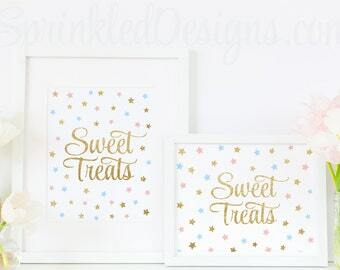 Thanks for checking out Sprinkled Designs! 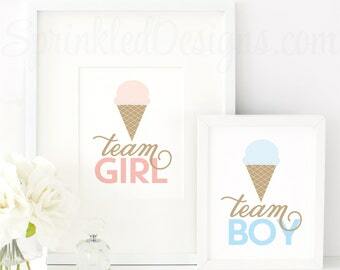 This listing is for non-customizable high-res files. You order will include 3 sets of Poster & Scoop files sized at 16x20, 20x30, and 24x36. 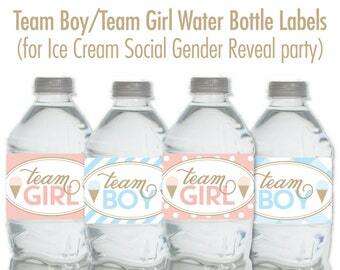 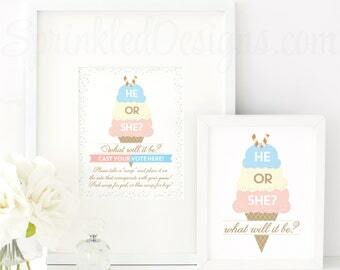 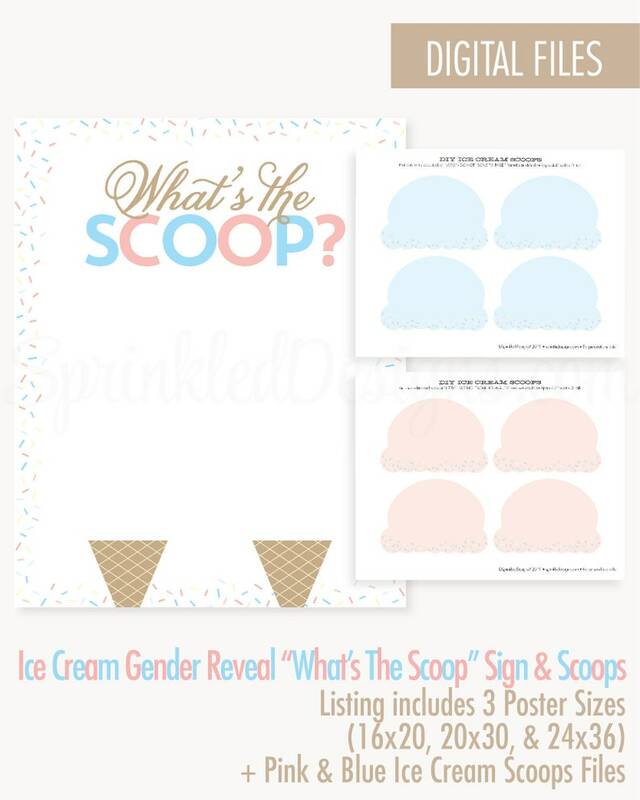 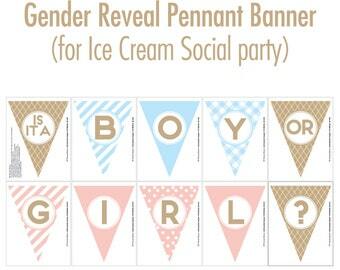 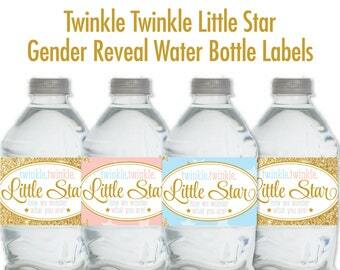 Files can be printed at any print shop (such as Office Depot, Staples or Kinkos), and you may print as many scoops as you need for your Gender Reveal party!